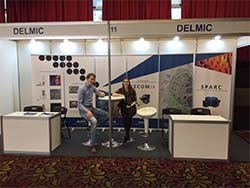 DELMIC has recently returned from a very successful edition of the Focus on Microscopy meeting. 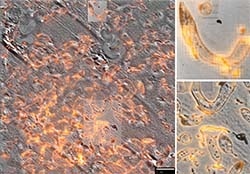 This was a pivotal event for us as it marked the official launch of the latest version of the SECOM correlative light and electron microscopy system, the Super-Resolution SECOM. On Wednesday, March 2, DELMIC’s SECOM application specialist, Lennard Voortman, hosted an introductory webinar on how to use a correlative light and electron microscopy system. In the webinar, Lennard outlined the relevance of CLEM in the life sciences, as well as some of the challenges such as overlaying images and retrieving regions of interest. Ultimately, an integrated CLEM system, and especially a high-performance system as the SECOM, is a very effective tool for overcoming these challenges.